Adding landscape lighting can increase your property’s security, safety and allow you to enjoy your outdoor space around the clock. 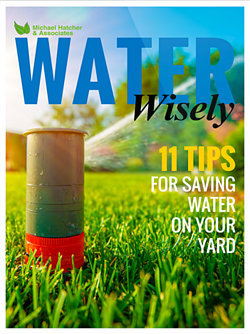 Some of the top places to install landscape lighting are in plant beds, around patios, along stairs, facing your home or building, walkways, driveways, parking lots and in outdoor entertainment areas. 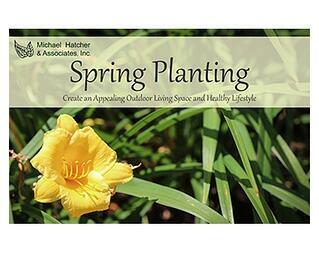 Michael Hatcher & Associates installs outdoor lighting on residential and commercial landscapes. We also seamlessly incorporate them into our hardscape designs — like patios, outdoor kitchens and sitting walls — so you won’t see any wires or unsightly system components. 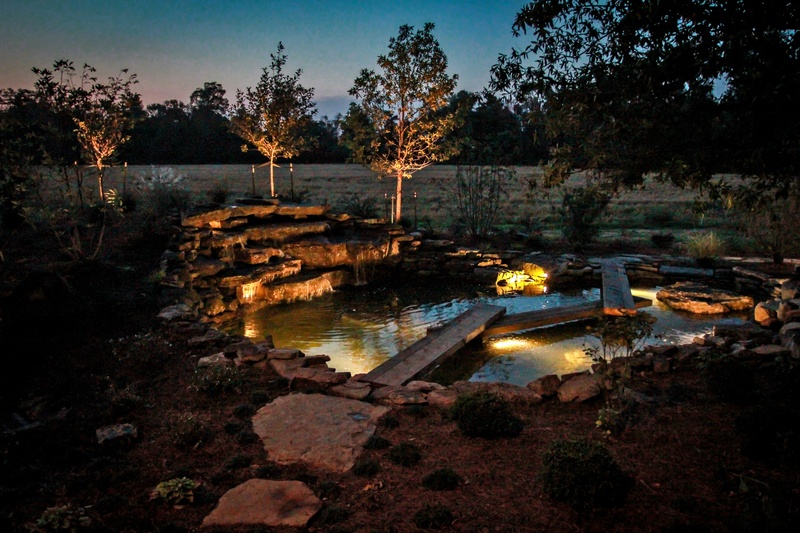 If you have a pool or other water feature with lights, we can connect it to the lighting systems from your landscape and make all of the lights controllable from your smartphone. 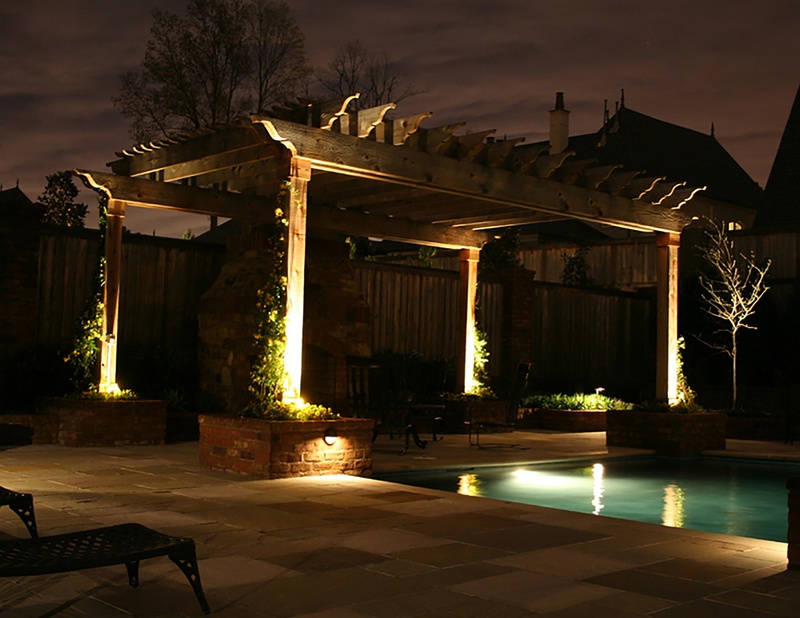 Our lighting technicians are trained to handle a variety of lighting projects, from outdoor structures, pool areas and architectural details. A lighting system starts at about $3,000 and goes up depending on the size of the project. 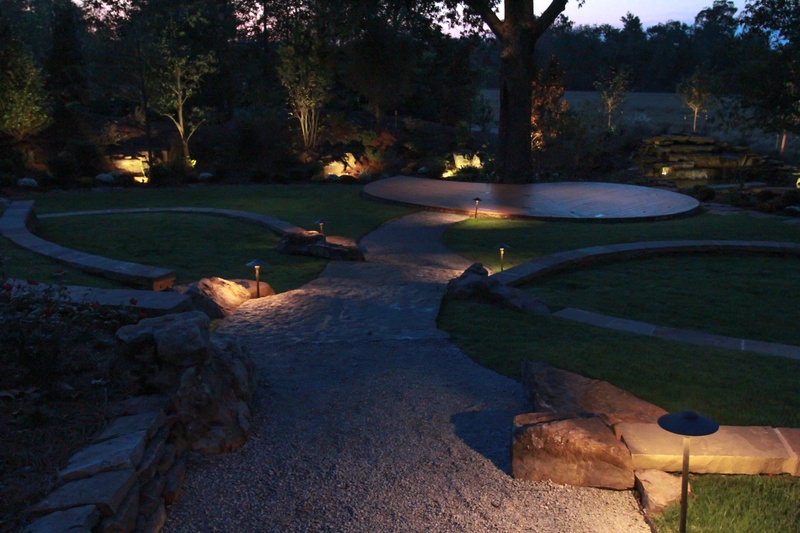 Our team will also maintain your landscape lighting system as part of our annual contract. We’ll replace bulbs, repair systems and readjust fixtures as needed. If a light goes out or something isn’t working correctly, we will work to get it fixed as soon as possible. We know how important it is to have the lights working properly, especially in high-traffic areas. We use lighting products from a variety of manufacturers, so you’ll have an unlimited selection to browse. We mainly use LED lights on our projects because of the efficiency and flexibility they provide. Some LEDs also allow you to turn the dimness levels up and down, and the lights can all be run on the same system — which uses less watts than traditional bulbs. Contact Michael Hatcher & Associates at 901-755-3207, or fill out the form to see how we can brighten up your property with landscape lighting.